Experience a close encounter of the reptile kind at the Virginia Living Museum. See a wide variety of native and exotic reptiles including the Burmese Python and the African Spurred Tortoise all on display and in live animal programs. Guest exhibitors include Reptile Education of Virginia (REV), Sandy Bottom Nature Park, Virginia Herpetological Society, Partners in Amphibian & Reptile Conservation, Virginia Stranding Team, Virginia Master Naturalists, Virginia Department of Game & Inland Fisheries and Wildlife Response, Inc. Learn about the museum’s citizen science projects such as FrogWatch and Turtle Census. See the differences between venomous and nonvenomous reptiles. Be sure purchase a Reptile Skin Bookmark or “Snake Paintings” by our resident snakes. Both will be on sale to benefit our animals. Cost: Included in museum admission. 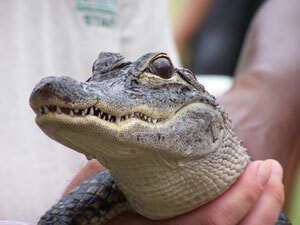 Reptile Weekend is included in museum admission. Check out the Planetarium Shows! Be sure to check out the special planetarium programs. Full schedule coming soon! Cost of planetarium shows: VLM members free, non-members $4 plus admission. Tickets available at front desk. Be sure to check the schedule of events for both Saturday and Sunday.